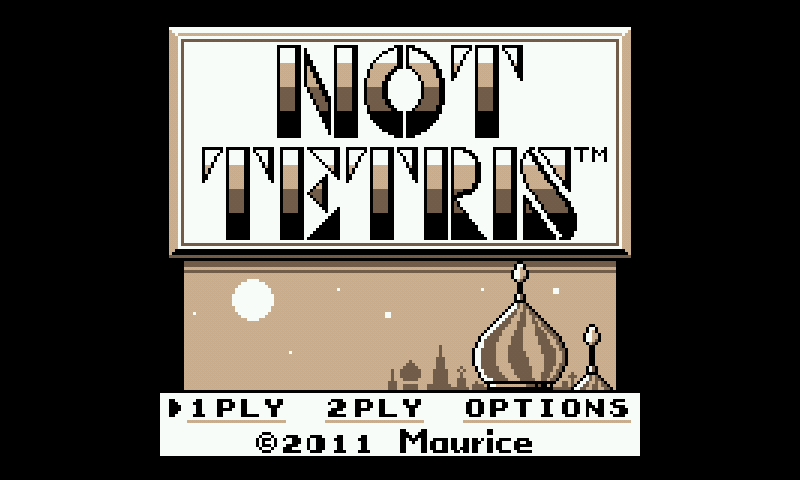 Not Tetris 2 is the spiritual successor of the classic Tetris mixed with physics. 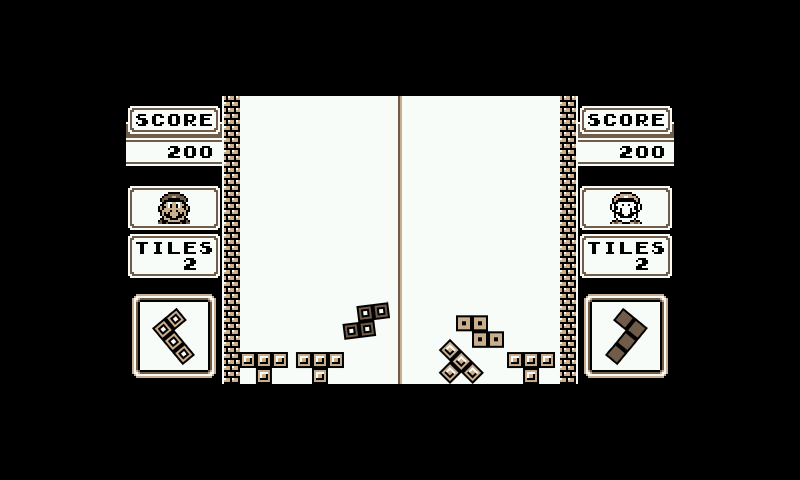 The result is a fun spinoff in which blocks are no longer bound to the usual grid. Blocks can be rotated and placed at any angle, resulting in a complete mess if not careful. 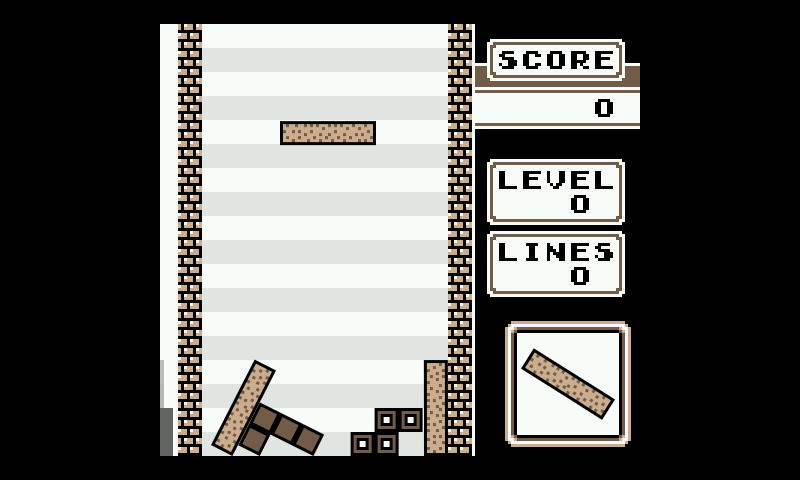 And with the newest cutting edge technology, Not tetris 2 allows line clears when the lines are sufficiently filled. The old mode is still available for play and is now called Stack. Also in this version is a multiplayer mode that allows up to 2 players on a single computer, with each having their own seperate Stack to fill. In the Invade mode, players can bounce their blocks to their opponent's side and save up on their own space. And now with C4A integration for online competition. Here is Not Tetris, from Stabyourself. It's Tetris, but with a twist. Same lÃ¶ve engine as with Not Pacman, but this time I updated SDL (fixed some thread problems) and lunixboch libGL (latest version), so it runs. I adapted keys to the Pandora (so DPad + Buttons are used), and adapted also the 2 player layout, and modified the picture to reflect the new keys. Go luck, this game is reeeaaally difficult! * Recompiled LÃ¶ve 0.7.2 with LuaJIT. Hilarious, you should so get this! Mari0 just a sec ago now this already? Man! You're fast!